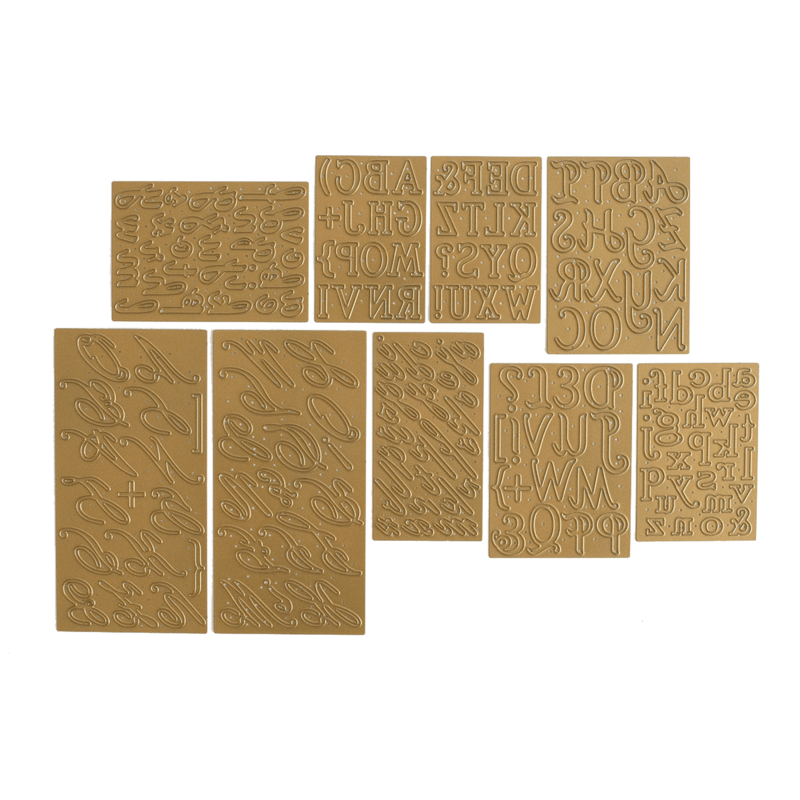 If you love your ABC’s like I do, you most likely already have our set of Anna’s Alphabet Dies. 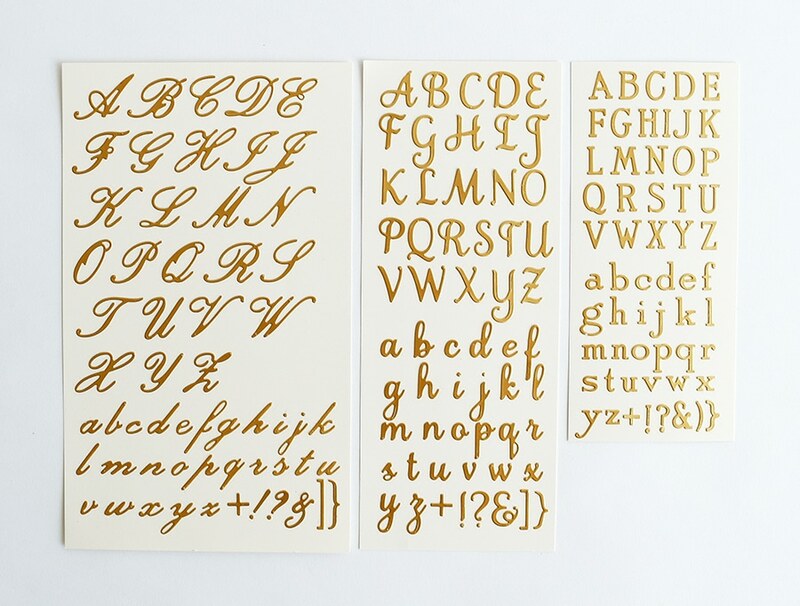 Just like when you learn the alphabet the first time, there are golden rules for crafting with tiny letters. I’ll teach you all of my tips and tricks to make sure you are Letter Perfect! Ready your Empress, paper plus the dies and craft along with me! Cut a sample and make a board. I’ve made a board with each alphabet in order from A-Z. It is a great way to get familiar with the letters, and it is a handy reference tool! Apply adhesive to your paper before die cutting. I love to use my Xyron Creative Station to apply edge to edge adhesive. Die cutting paper with peel off adhesive turns the tiny letters into stickers without any mess. Place letters on cutting mat/grid to make sure they are lined up perfectly. Use a grid to align the letters with a straight baseline. You can use the grid on your cutting mat. Make sure to evenly space the serif fonts. When using the script fonts, make sure to connect the upstroke on each letter to the next letter in the word. Tip: Use the Cricut Bright Pad. This is a great tool to help you align the letters. With the light source turned on, place a printed grid directly under your card. Now you have a baseline to help apply the letters directly on to the card. Use low tack tape to transfer your word. You can also use the grid on your cutting mat to align the letters. 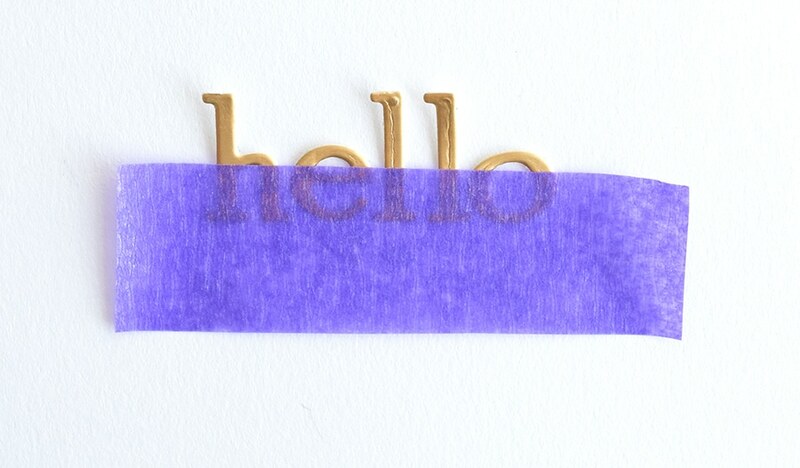 By using Thermoweb Purple Tape, a sticky note or washi tape, you can easily transfer your perfectly spaced word onto your card or scrapbook page! Burnish before removing the tape. Make sure to burnish the letters to your surface before removing the washi tape. Now that’s Beautiful in the Letter making! I live in Canada and just purchased the empress from The Shopping channel earlier this week. I got it today and am so excited. I have one question though and was hoping you can help. I would like to cut an image that is stamped first. How should I sandwich the plates. Looking through the instructions the die goes on the mat and the paper goes on top, but if I do this I will not be able to correctly place the die exactly on the image. I am sure you will have a solution to this. Yes that’s right. Use washi tape/ purple tape to hold it exactly in place! Beautiful fonts and great tutorial. I have a question. Will the dies work with my Cuttlebug? Yes, with the long plates! Received my dies yesterday from HSN. These are beautiful! I am gonna have so much fun! Thank you ! Thank you Anna for the great tips! I love all of your tutorials and learning from the best! Love the letters! Love the fonts! Thank you showing us how to use them. Love the suggestion to use the purple tape to hold the letters in place! Would love to have theses that’s for sure! Great examples Anna! Great tutorial! Lots of good information. As always you never cease to amaze. 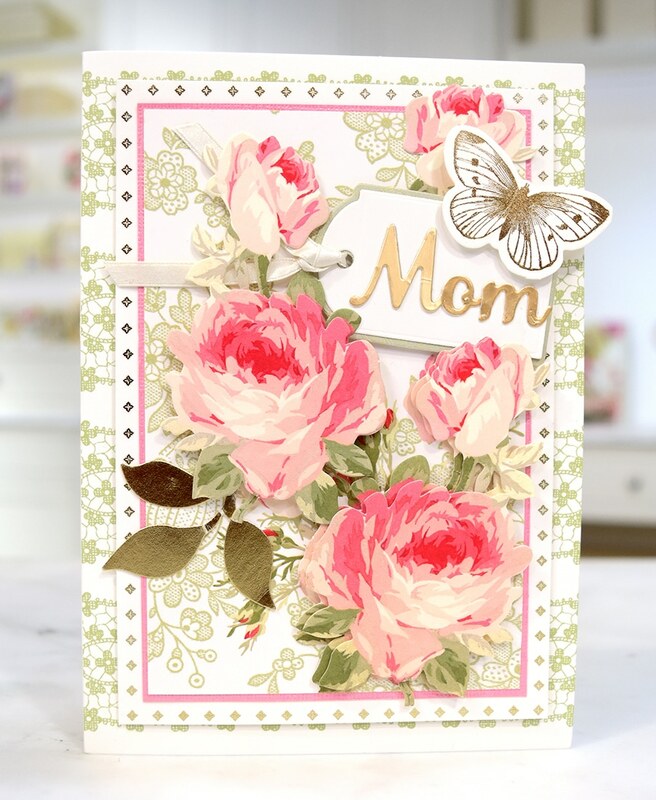 The letters are so perfect for card making. I am hoping that you will bring back the angel dies again. They sold out so quickly. Thanks for Beautiful in the making! The letters in all three choices are beautiful. I like the technique of using the ther-o-web tape to accurately align the letters for placement. It was a wonderful tutorial. Am so in love with the alphabet font!!!! Great MUST HAVE addition! Love the letters! On my list of things to buy! Your letters are perfectly straight and we would not expect anything less from you. 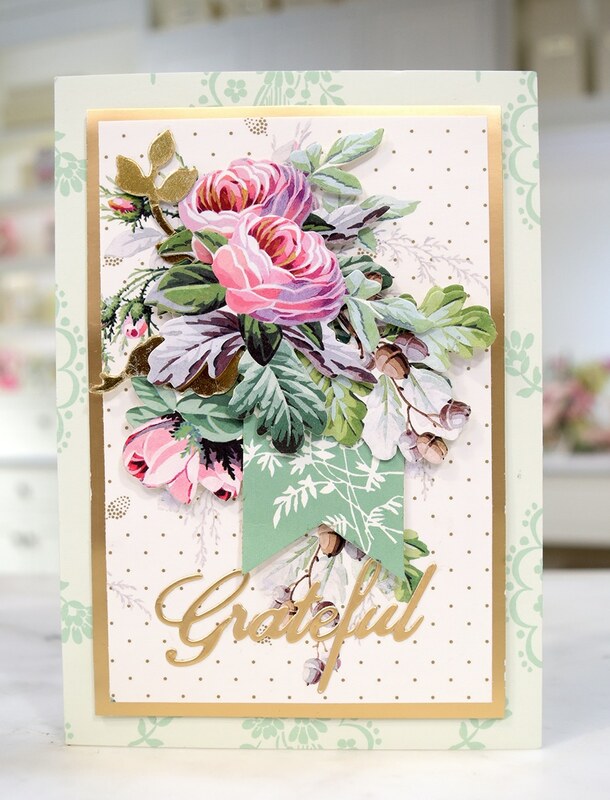 Beautiful touch to beautiful cards. I would love to get the Xyron machine. It would be much easier for me then the 3inch one I have. The script letters are just so elegant. Looking forward to your next visit. I am sure we all would like to see the renovation of your house. How about some photos. Are you doing abeforeand after scrapbook? It must be so exciting! Amazing tips and tricks! I did not order these because I was sure I would not be able to get them straight. Adding the adhesive first and then using purple tape is genius! 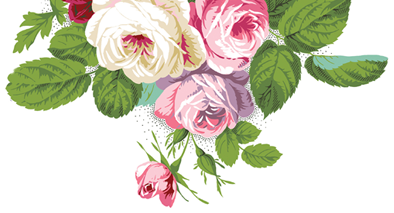 Thank you for helping us create beautiful sentiments to share. I will order them next time or from your website. I need a couple of other items too! Darn!! It sold out before I could order it!! It still is not available on HSN yet — OR — where can I get it? THANKS!!! You can get them on our website: https://annagriffin.com/product/annas-alphabet-dies/. I love this machine and the letters you have they will be on my want list, Thanks Anna! Wow! I need those letters. Beautiful. Thanks so much for clearing up my question on how to use these. I am so grateful for the tips and tricks. I’m loving Tutorial Tuesday! Thank you, eagerly awaiting next Tuesday!!! Thanks for the tips! You make it sound so easy! I will see how easy it is for me since I tend to run into problems about right in the middle of things! One day at a time, right? Seriously, thanks again for giving us some new ways of doing the letters in a goof-proof manner! I appreciate any and all help that you have to offer! These are such gorgeous alphabets, thank you for the tips also! Love, love, love these dies!!! I look forward to your Tuesday tutorials. They have been very helpful. Great tutorial! Thank you . I wanted to know how to do that so professionally after I purchased the alphabet die set. Love this tutorial! Thank you! Thank you for the tutorial. I didnt get the alphabet dies last time….but I think I’ve changed my mind. Thanks Anna, for all the tips! I ordered the alphabet dies and I can’t wait to use them. I wanted to order the AG essential craft tool set with the grid, but they are not available. Will that set be coming back on HSN? Hi Gayla, it is not coming back soon, but we will add to our requests to bring it back! Thank you, Anna, for your tutorial. Adhesive first before cutting is the bestest tip ever!! You think of everything to make my cards look outstanding. I appreciate YOU!!! Love the tips about perfect placement I never try to do a straight line….can’t do it BUT now I will try your tip and see what works best. 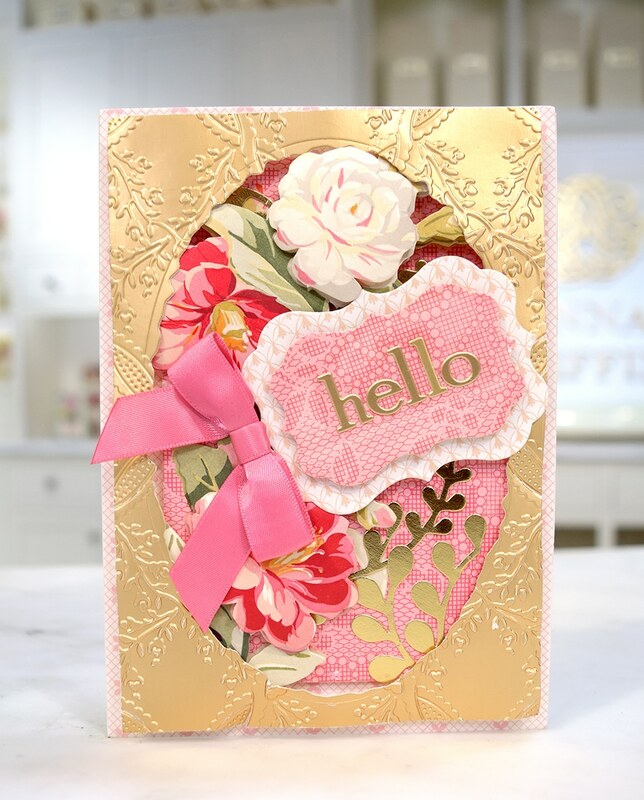 Love the letter dies and all the how to tips. Lovely dies! what are these fonts called? Are they similar to what you offer on design space? There’s a script, a serif and a sans serif. Thank you for those useful tips. I have about two sets of your alphabets and was going to gift them to a friend as it was a real problem for me to know what I wanted to use and even worse to find the right letter. Love the fact that you suggested to have a “cheat board” with all the letters to refer to. Love, love this idea. My question is: how do create that reference tool? P.S. Thanks again for all your wonderful projects..
You can look at ours and copy. It’s just thick cardstock for the board. I had these in my cart and they sold out before I could finish the process. Thanks for the tips and tricks. I love Tutorial Tuesdays! Such great tips! Great tips again! Love tutorial Tuesday! Very helpful, thank you! Thank you for this tutorial as I am not to good of putting my letters or numbers straight. Hi Anna, this is a great lesson. I bought these dies and have not used them yet. Im glad I saw this tutorial first, so I will know the best way to use them. Great tips for all alphabets including ones cut from Cricut fonts. Keep those tips coming. I just love these fonts. What I did was cut multiple of all the letter fonts, and I store them in tiny little bins – so I have them ready when I need them. Beautiful! I want them-these are a necessary addition to any card makers stash. I have your Alphabet Dies and this tutorial was perfect. I watched it and thought, why didn’t I think of that? I had been using them and had such a time trying to get them on the surface I was putting them on. I couldn’t believe I hadn’t thought of using my Xyron machine. I love your Tutorials, they really help. I have a lot of your products and it helps to see how you use them. I used to watch you when you were on, I believe it was PBS, doing demo’s on scrapbooking. I would tape the shows on VHS but now I don’t have a machine to play them on. I really need to convert them onto DVD, they would be so much fun to watch now. Hey, thanks for all of the 938 tips about working with your letter dies. No one else does this much for us, so that makes you a champ! Thank you for Tutorial Tuesday! Such great tips here for the alphabet dies. We both have a set and now we will be pros at setting the type on our projects. Thanks, Miss Anna! The 3 alphabets are so versatile, so nice. Wow! Those Golden Rules are really going to improve my crafting. So much good sense in these tips! Getting letters, and other trims, perfectly lined up with the tape is so simple but genius! Beautiful, professional results! Hi Anna again: I left out Sunday Shares on Facebook. You give us so much Fun! Hi Anna: Thank you so much for this wonderful tutorial! I have the Alphabet dies and can’t wait to use them and thank you so much for teaching me how to use them and especially adding the adhesive before cutting. I didn’t know we could do it that way. You made it so easy! I love Preview Mondays, Tutorial Tuesdays and Fan Mail Fridays! You have to come up with something special for Wednesdays and Thursdays!!! I’m a Griffinite for more than 25 years – I even have the Martha Stewart Wedding Magazine with your first ad for your beautiful invitations. I remember thinking to myself – Oh, how beautiful! And that’s when I became a Griffinite and I sought out your invitations and papers to make my own invitations for my celebrations way back then. 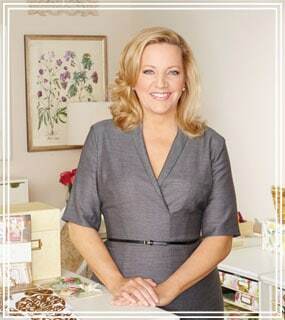 And, I’m still using only Anna Griffin products – because they are the BEST and the MOST BEAUTIFUL of all!! And so are YOU! Lourdes! Thank you so much. You made my day! Very helpful, thank you Anna. What timing! Last night I cut some of my alphas, first since they arrived. Some of the script letters are little hard to tell what they are as I’m not use to this font. The sample letter card is a good idea, however, I think I will take a shortcut and just print the picture of your sample card!😉 I will just place it in the clear bag with the dies. The B plate of the Cutting sandwich will work great for lining up the letters. Thanks for the guidance! Great tutorial, I for some reason love to see other people work a die first it just makes it seem so much easier, and this tutorial was no exception. It also was a great help to see how to make the the letters look like writing , I love these alphabet dies. Thanks once again Anna for sharing caring and explaining. Great tips with the purple tape. THE LETTERS ARE STUNNING AND GIVE ENDLESS POSSIBILITIES! I LOVE YOUR TUTORIALS. THANK YOU SO MUCH ANNA! Love the alphabet dies. I am a scrapbooker as well as card maker and these will be great to make my page titles. This is a wonderful tutorial. I have not used my dies yet, but now I will know what to do so as not to become frustrated. One thing that you did not address is how to remove the paper backing and expose the adhesive from each die cut. When you attach the letters to the purple tape, is the paper backing still on the letters at that time? You can peel it off with your fingers or use the tool n’ one to help. 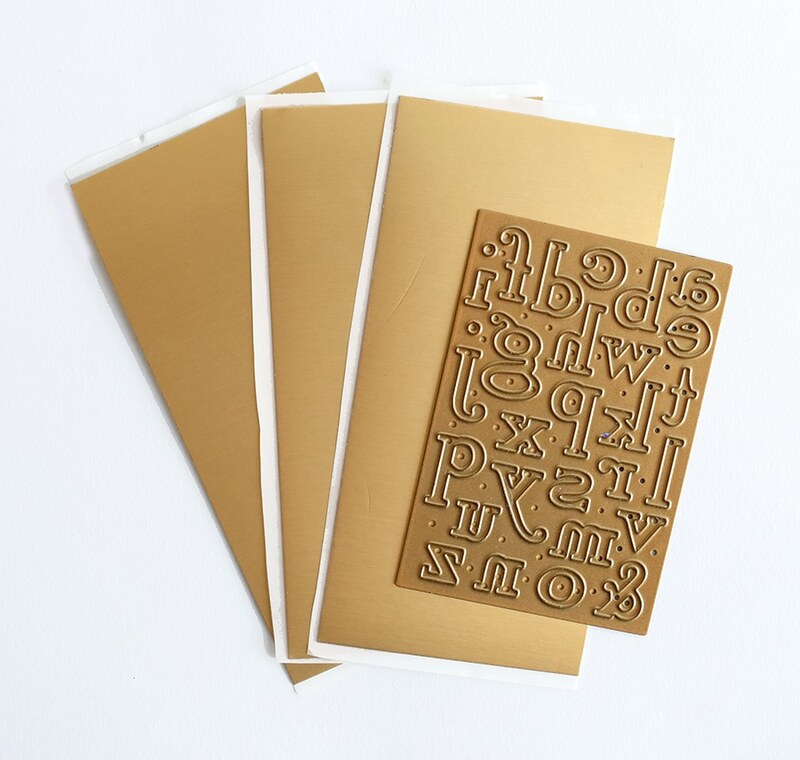 Will these beautiful alphabet dies be made available on TSC for Canadians? Thanks for the very useful tips. I returned the set of alphabet dies because it was incomplete. I would like to order again when it has been corrected. Want the alphabet with a vengeance…….really want. These are sold out on HSN. We only have a few on our website. There are 3 alphabets in the set. Registration for Create 5 opens in April. We will have a special blog post about it. We hope to see you there! Awesome tutorial!! Can’t wait to use y dies. I love the dies! Quick question though… I notice sometimes with the small dies and the gold cardstock that the letters get a crease in them. Any tips for how to get a super smooth result every time? The crease comes from the metal pinching the paper to closely. It is unfortunately a requirement for those pretty curves. IF you pick the letter out of the die from the back, it helps! These lettering does realkycare “Beautiful in the Making”. They really can add that personal touch to the card creation. These are beautiful dies. I hope they will be available on HSN in March. Really looking forward to seeing you again. I go into withdrawal when your visits are spaced too far apart (more than a week). these are very beautiful dies and script!!! Thanks for all the great tips, Anna! I am itching to play with these. I’ve been dreaming of running them through my xyron twice ;-). Just as soon as I get this pesky re-org of the craftroom done. Thanks! I love and appreciate the tutorial. I purchased the alphabet dies and feel more confident now that I’ll be pleased with my cards, etc. when I find time to use the dies and will waste less time and paper practicing to get them right. Anna I just love your things.I want your alphabet dies so bad.I just got your swivel card cutting dies in the mail today,so ill be playing with them later today. Loved this tutorial. Made me even more anxious to get my dies. They have been delayed since the last HSN show. Can’t wait to start using them along with your wonderful tips. Anna, thank you so very much for these tutorial Tuesdays! They are so helpful! Wow! I can make more beautiful things now! The actual HSN shows I recorded sometimes go so quick that I can’t figure out how you do certain things. I watch them over and over and no luck! These tutorials are perfect for me to learn to use the products I ordered. Sometimes I realize something I should have ordered and need to! Again, thank you so much Anna! Great instructions on how to use the letters and love the five golden rules! Wow! How awesome is that! Connecting the letters together to make the words looks seamless. You would never know that they were individual letters. Anna, you know that I am a record producer. I have to teach artists everyday. You are an amazing teacher! Love watching you demonstrate! Thank you for the teaching videos. Thank you Anna…appreciated ALL the helpful hints and procedures. Looking forward to putting them to good use!!!! Great tips! I will be using them today! Thank you! Hi Anna, Thanks for the tutorial. Looking forward to attending Create 5. Happy 25th Anniversary. Thank you for this tutorial. I am still waiting on my dies but when they arrive I will now be able to use them. Wonderful explanation on “how to.” I love how the letters are on a plate together rather than cutting one letter at a time. Any good ideas about storing letters for future use? now I think I need them! Thank you for this wonderful video. Keep up the great work ! Thank you for the tutorial, Anna! I oftentimes make a sample of my dies as well and keep it in the clear plastic envelope with the die so I can see at a glance what I have. I have been putting adhesive on after cutting so will try that technique. We are experiencing very frigid temps now in Wisconsin so today is a Christmas cardmaking day and since my craft room is in the basement and cooler, will be using your card kit on my kitchen table and enjoying the abundant sunshine! My craft closet says no to anything else but my heart says I need the alphabet. So neat! Kinda upset…HSN just up and canceled my order for these dies!! I truly was looking forward to them. I checked out way early in the 24 hour craft day & after all was said & done. To bad to sad refunding your purchase. 😲 I have them in favorites hopefully they will be available again soon??!! Anna’s Alphabet Dies are available here on our website. Go to the New or the Crafts buttons at the top and the button will take you right to them! Thank you for the tips!! I’m still waiting for my alphas, unfortunately, I ordered them at your last HSN appearance, but it looks like my order was processed later than some?? Anyway, I look forward to when I receive them! These are stunning!!! And very affordable. Anna, you go above and beyond for us! I especially like he script letters. Don’t see that often enough. Very pretty. Thanks so much for the great tips! I usually make a sample of each die but stick them in an envelope, I love the binder idea.